(HAVRE DE GRACE, Md.) -- NEWS: Care9 Redesign Home Staging, a Havre de Grace, Maryland based professional home staging and interior redesign firm, has taken their design services digital. 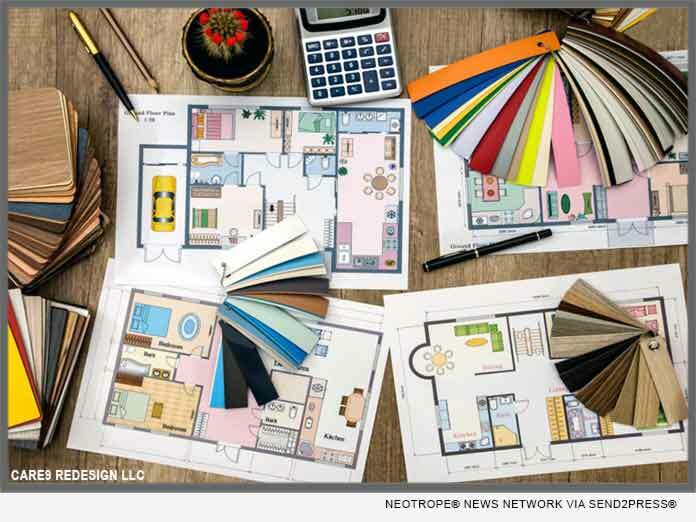 Their e-design services now allow clients from anywhere in the world to get expert advice on staging and redesigning their home's interior while still enjoying the satisfaction of do-it-yourself project completion. With Care9's e-design services, clients get one-on-one online design consultations with a design expert, who works with the client to understand their needs, style preferences, budget, and desired outcomes. Using this information, Care9's team puts together an interactive design plan of each room the client is seeking design feedback on and delivers it to the client's inbox. The client is then able to provide comments and feedback and ask questions and even shop the designs provided in the interactive plan with one click. The process is hassle-free and provides the perfect level of support and interaction for do-it-yourselfers. The benefits of e-design are numerous for the busy and budget conscious do-it-yourselfer. Since all transactions are online, clients save time by not having to find time in their schedules to meet with a designer. Additionally, clients save money by not having to pay the designer's time to shop for the products featured in the design plan-the provided plans allow the client to shop for the products themselves. Karen Kneib, owner of Care 9 Redesign Home Staging, got into the business of home design and staging because she believes that all spaces can reflect beauty, comfort, and purpose: "Every space has potential for beauty. Our joy comes from working with the homeowners and bringing out the potential in every room." By working with clients to create trendy, on-style home designs that reflect the homeowner's personality, Care9 helps clients breathe new life into tired old spaces by providing expert design advice while understanding the client's needs. To learn more about Care9 Redesign Home Staging and their e-design services, visit the firm's website at https://care9redesignhomestaging.com/.